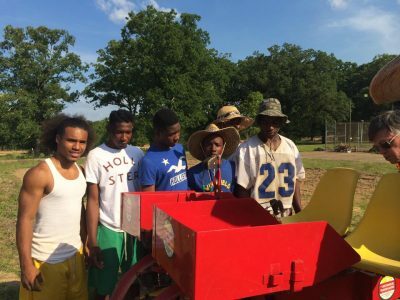 Football and Farming program at Wingfield allows the players to raise money for the football team and learn a new trade. The students train at Foot Print, and also do sweat equity, working to eventually earn a plot of land and own their own farms. Ayers-Elliott also trains community members. Williams’ brother, Curtis, and Charissawn Alexander and Daniel Murray, pictured above, currently own farms under the Foot Print umbrella, along with their one acre of land at the farm. This season, Alexander grew peanuts. Foot Print Farms also does community-supported agriculture, and the subscription plans are flexible and affordable. Jacksonians can also find the farm’s produce and other products at the Mississippi Farmers’ Market most Saturdays. Foot Print is also certified as a farmers’ market, which means people can use their Supplemental Nutrition Assistance Program or Electronic Benefit Transfer cards on the farm. Ayers-Elliott wants to add more of an agritourism aspect to Foot Print. She plans on building a cabin by one of the farm’s lakes. People will be able to experience aspects of life on a farm such as planting and learning archery for hunting. Ayers-Elliott says training people and getting them to understand that agriculture is a good field to go into is one of Foot Print’s major focuses, as well. 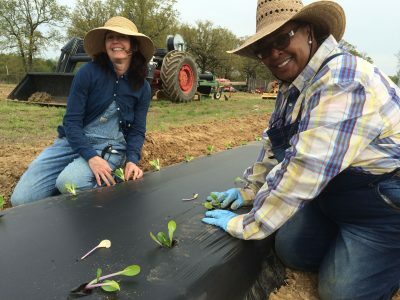 Foot Print Farms is the largest urban farm in the state of Mississippi, and its existence is indebted to Cindy Ayers, the founder of Foot Print Farms. 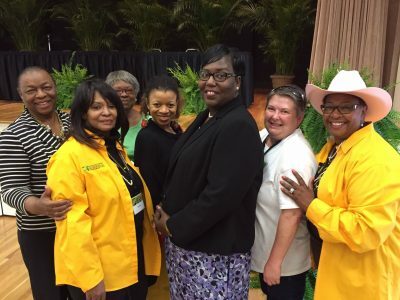 They help train farmers throughout the state to work with communities and help address the issue of food deserts in Mississippi. 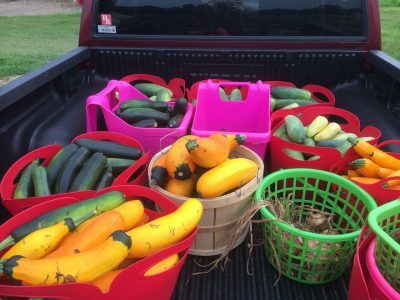 Established in 2010, Foot Print Farms continues to impact the community with their work. Coppyright © 2017 Foot Printfarms.